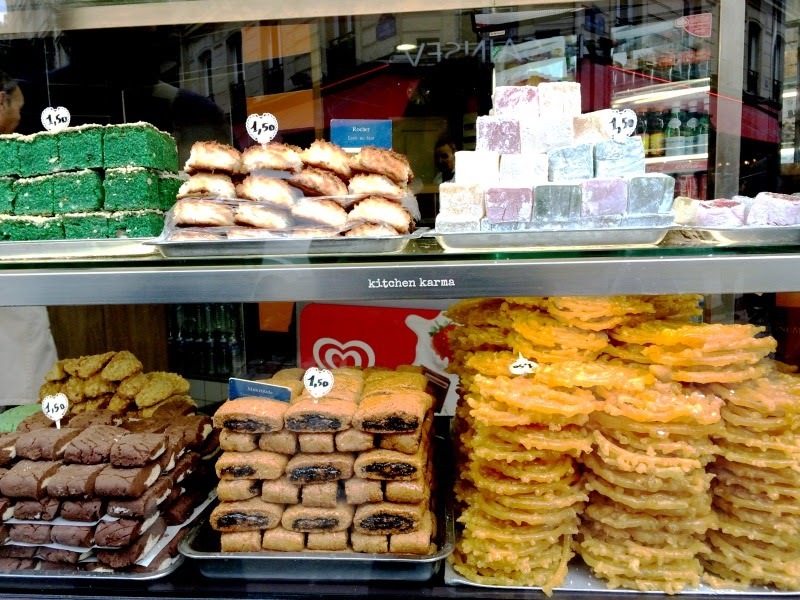 We were really impressed to find jalebis, an Indian sweet, on the right bottom, in the tourist heartland of Paris. This patisserie on St-Michel is run by two jolly French bakers and is stocked with a huge variety of desserts from the world over. Of course we had to try the jalebis and it was yum. Much better than what we get in many of the Indian sweet shops here in London. Kudos to the French bakers, they got the taste and the texture bang on. Goes on to prove yet again how food can help in uniting the world and understand each other's culture.